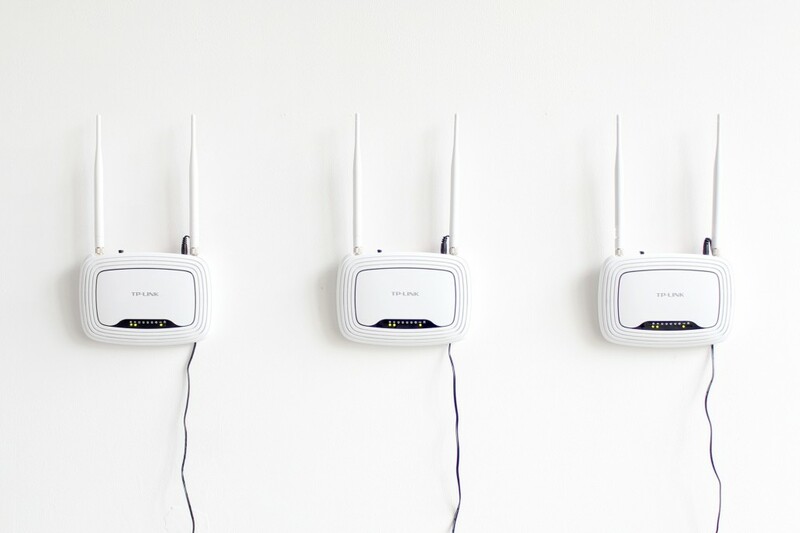 The three WiFi routers of “Offline Monochrome” display each a different monochrome color. 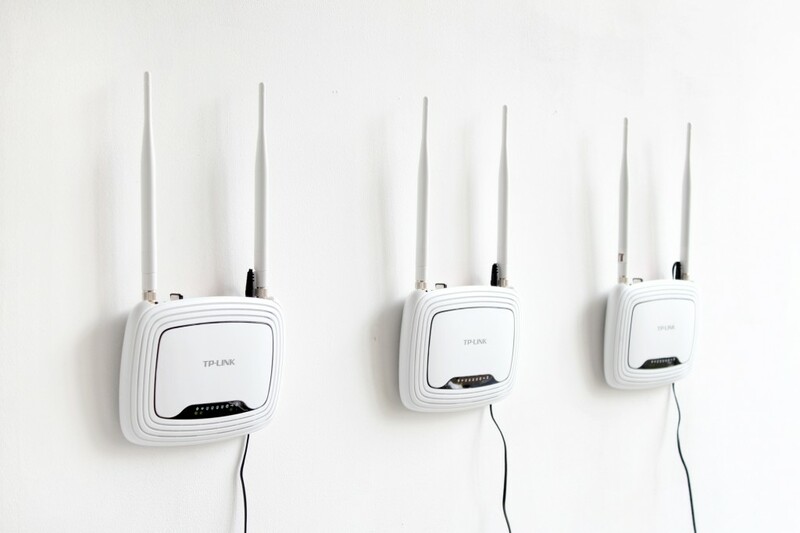 Usually used for Internet access but reprogrammed to work offline each router holds a small websever with a single webpage. 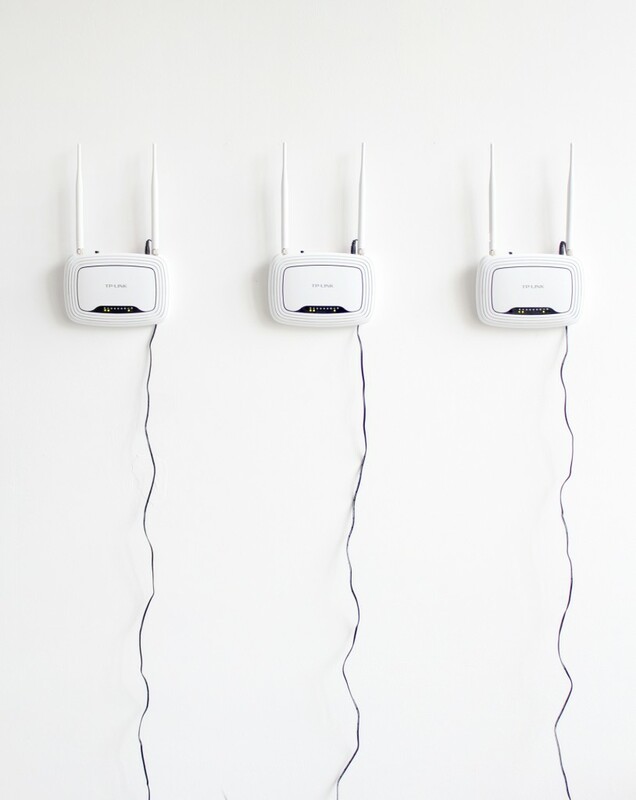 Visitors are invited to connect to the three networks with their personal phone, tablet or notebook. The colors are displayed as background html tag in the phones browser. To see the triptych in full effect one needs at least three different devices at hand. But what are the screen sizes, orientation or color qualities of those devices? And in what order or distance should the displays be arranged to view the color triptych?